Like humans, lobsters require oxygen to live. They obtain this oxygen from the seawater in which they live. How much oxygen they consume depends on the temparature of the water. As the water's temperature increases, so does their oxygen intake. Interestingly, the amount of oxygen within seawater decreases as the temperature rises. So, optimal oxygen intake occurs when the water's temperature is between 40 and 50 degrees F.
Lobsters use gills to breathe. Their gills are blood-filled, feathery organs which extract oxygen from water. 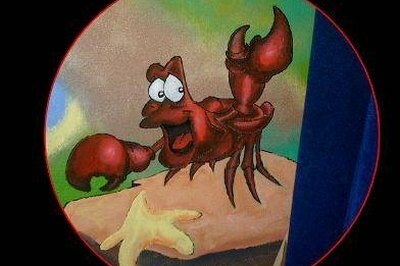 The gills can be found at the base of the lobster's legs. Blood travels from the gills to other parts of the body, providing oxygen along the way. To maintain a steady supply of oxygen, the gills circulate water for lobsters the way our respiratory system circulates air to breathe. Lobsters can only survive out of water for approximately one to two days. Because they require large amounts of moisture, they must be packed in ice. However, this environment is not optimal for lobsters. They can only survive long term in seawater. Sabrina Kinckle is a filmmaker, freelance writer, author and motivational speaker who has been writing about a wide range of disciplines since 1995. She has written for both print and online publications, including New York State Legislature newsletters, Suite101.com, Demand Studios, SelfGrowth.com and many more. Kinckle holds a Bachelor of Arts in political science from the University of Rochester.